Rather than drive the car to our usual summer holiday spot at Coolum, I thought I’d ride the bike up from Lawnton. 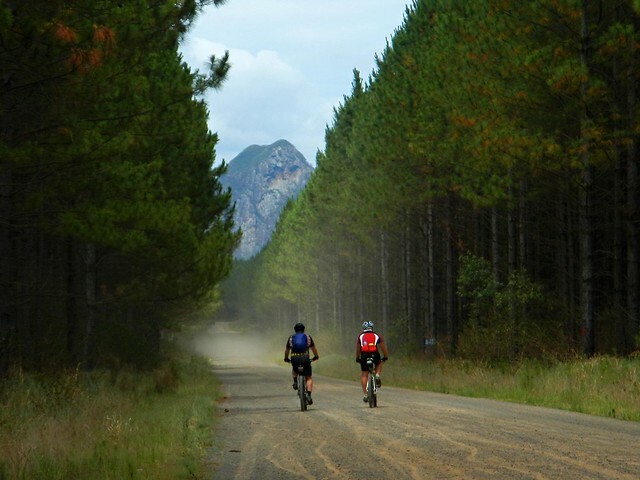 The route was just under 120km in length and included a fair bit of riding off-road through state forests and national parks. My friends Tony and Wayne rode with me for most of the way. …which was just as well because Wayne got a flat tyre after running over a thumb-tack. Unfortunately it was in his non-tubeless tyre, so it went flat and stayed flat. But two spare tubes and 3 CO2 canisters later, we were on our way again – still ahead of schedule. We made good time even when equipment failure struck again and cleat fell off Darb’s shoe. Luckily, he didn’t lose any screws and was able to screw it back in quite easily. I like this forest because of the variety of different tracks. 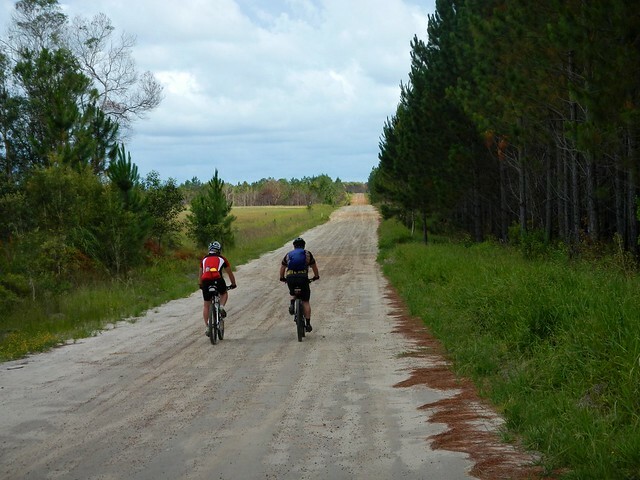 Plus it’s relatively flat which means you can easily cover long distances without much effort. 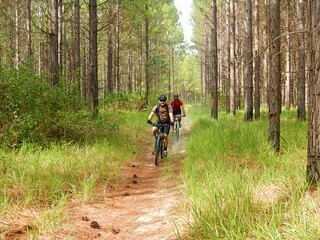 We picked a few narrow tracks and rode off between the pine trees. Our first major stop was at the Wildhorse Mountain service station where we topped up on “bike fuel” and water. To maximize the amount of off road riding, we kept riding northwards through the forest until were able to pass under the freeway at Mellum Creek. From there we entered the Beerwah section of the forest and headed North-west towards Landsborough. 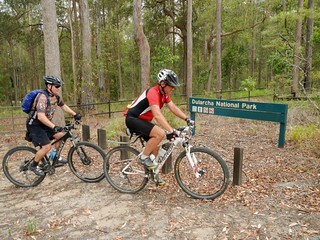 Dullarcha National Park lies just north of Landsborough. 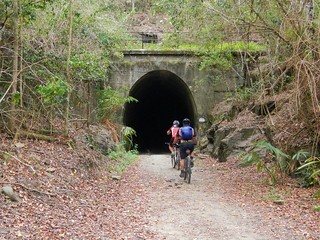 The main trail follows the railway line north through the rainforest. 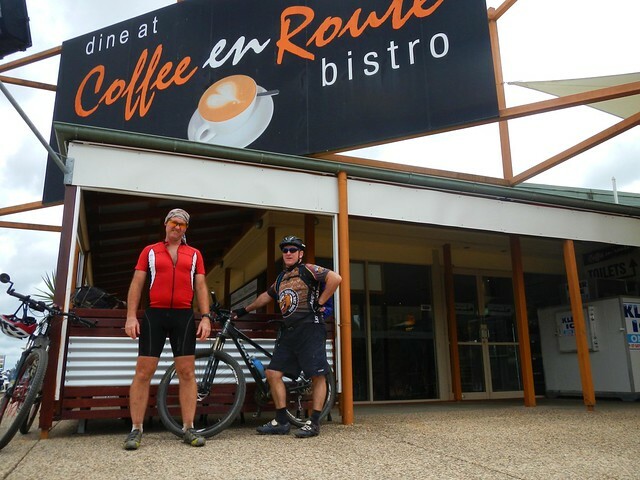 After a tough climb between Mooloolah and Eudlo, Darb and Wayne left me to continue the final part of the trip at Palmwoods, near Nambour. They’d ridden to my place before the start, and had already covered about 100km. They caught the train back and I continued eastwards over Kiels Mountain. 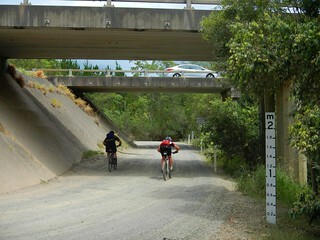 I’ve often seen the overpass while driving up the freeway to Coolum, but this was the first time I’d ridden over it. 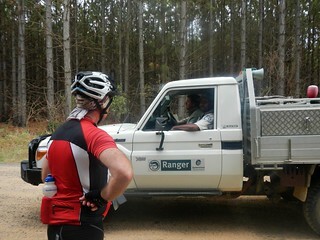 At this stage of the ride, it was hard work grinding up the steep road over Kiels Mountain. 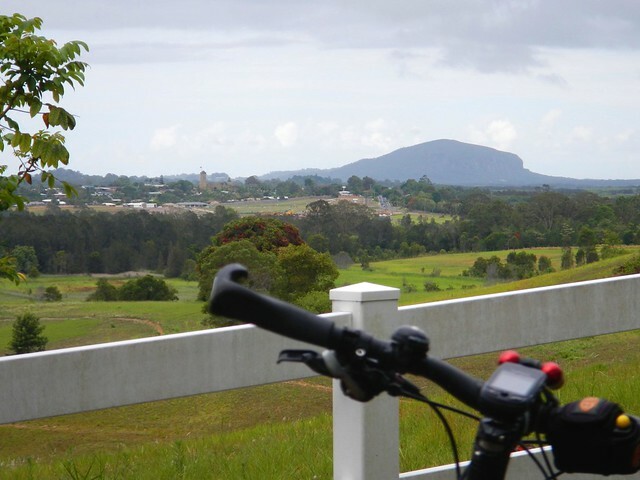 Halfway through the roll down the other side, I caught sight of Mount Coolum in the distance which marked the end-point of the ride. 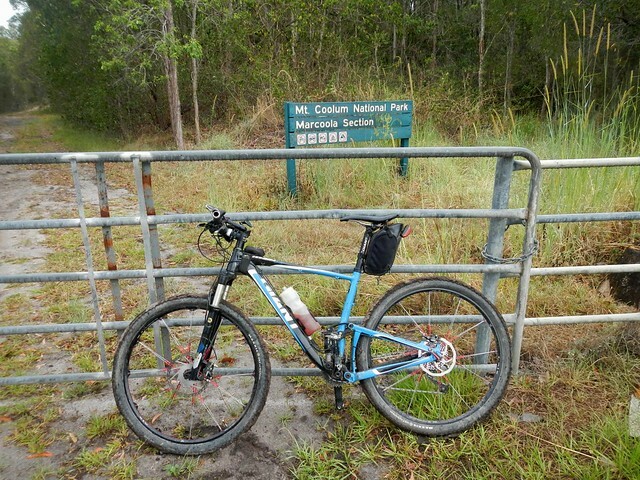 In keeping with the “off-road” nature of the ride, I chose a dirt track which skirted around the western side of Mount Coolum via another national park. 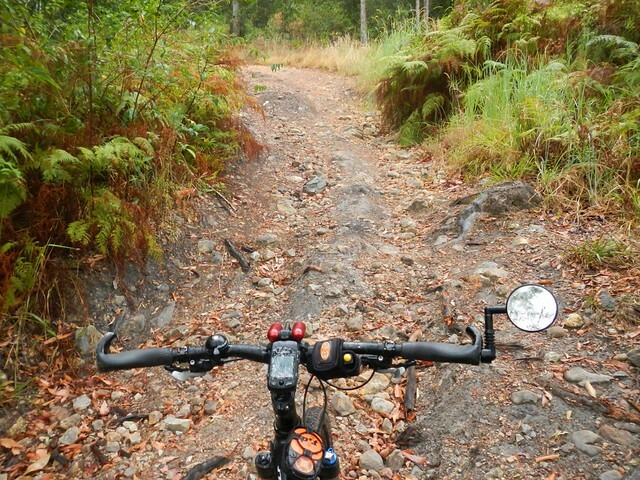 Unfortunately rain had made the large rocks on the track slippery, and the gradient was a bit much at this stage of the ride, so I took the “safe” option and pushed the bike up the last hill. All up, this ride was 115km. It took just under 8 hours including stops. Moving time was just under 6 hours. I burned about 5,200 kcal. I’ll give this one 8 out of 10 on the tough-o-meter. Nice ride Neil. We’ll have to do this route or close to it together next time. Great effort, fellas. I just capped off a year of great fitness and riding with the laziest six weeks of my life and just got back from two weeks at Mooloolaba yesterday. The flame is well and truely relight afer reading that. Neil, I come back every year wondering how I can justify moving there, do you? Dean – absolutely. I’d love to live on the Sunshine Coast. For now, a couple of trips per year is ok, though. G’day Neil, met you heading off on the Mt. Coolum (Marcoola track). Got a chance to do a return trip to Brisbane this week. 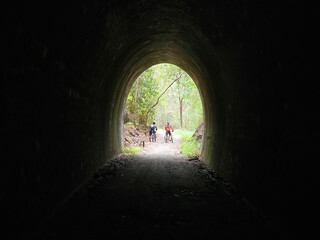 Loved it, especially the Dularcha tunnel.Shared the echos with a few horses on the way back. I’ll do it again! Thanks so much for getting in touch. It was great to cross paths with you on the way back to Brisbane. Did you take a GPS log of your trip to Brisbane? I’d be interested to see which way you went. The hill south out of Eudlo is tough, isn’t it? I was rushing to meet up with some friends who were getting off the train in Mooloolah, so I had to push it pretty hard up that climb. I agree with you – Dullarcha tunnel is a lot of fun. G’day neil,I’ve not got a gps. Instead of Kiel mt. 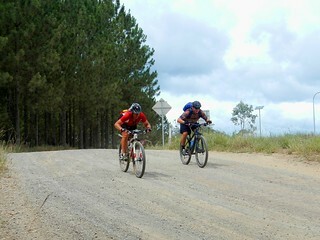 road, I took Eudlo flats road to Palmwoods & it was welcomingly, ‘flat’. (And yes few tough pinches near Eudlo). I took the Landsborough road from Landsborough to Beerwah (cycle track available..pretty good) & then to Beerburrum trying to keep safe on the Steve Irwin road. The road’s a nightmare for cyclists! 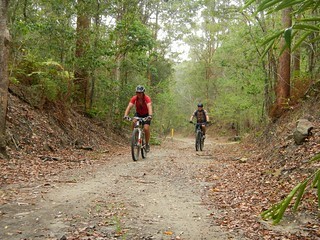 Rough track beside Steve Irwin from Glasshouses to Beerburrum. Very helpful information centre at Glasshouses. Beerburrum road to Caboolture. Back way to Narangba,via Morayfield & Station road & to Petrie via Torrens road, Gympie road to Bald hills & Main Gympie road from Beams road into Brisbane. 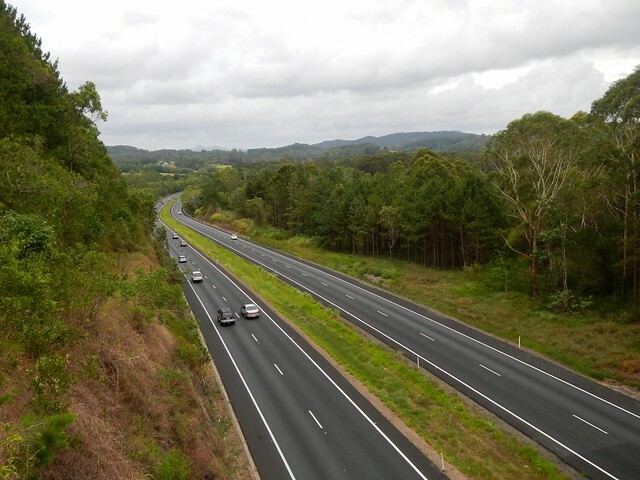 Next time Il plan to go via the old gympie road from Landsborough to Caboolture. 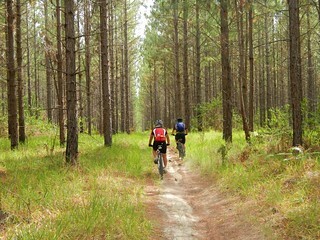 I’m keen to check out the Beerburrum forrest way also. I’ll get a better map. or maybe a gps!! Camping is available free at Landsborough turnoff & near Beerburrum (free), & $15 a night at Lawnton & Caboolture showgrounds if anyone’s planning to be on the road overnight..
For me it was a cool trip.The rain gods baptised the road on the Sunday & Monday. Took the edge off the heat. Next Next post: Fat Bike!